The United Wrestling Network in association with Championship Wrestling from Hollywood and New Japan Pro Wrestling are ecstatic to be holding an exclusive Meet & Greet with NJPW star Katsuyori Shibata on Sunday December 9th at the Oceanview Pavilion. This opportunity to meet the Japanese star will begin at 2pm with a ticket price of $30. Following the signing, the free CWFH Milestone Blockbuster Event will open doors at 3pm and seating will be assigned on a first-come first-served basis. Come out to the Oceanview Pavilion on December 9th to meet Katsuyori Shibata and enjoy the huge Blockbuster Event as Championship Wrestling from Hollywood presents Milestone! 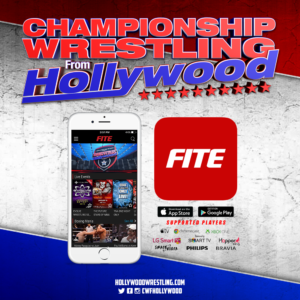 The clouds have parted above Los Angeles and that means that it must be time for a brand new episode of Championship Wrestling from Hollywood! This week the RockNES Monsters continue their investigation of Vermin by kicking off the program against former Vermin members Ryan Taylor and Joey Ryan. Taylor hasn’t had his head on straight since the mysterious disappearance of Tomaste and this could play into the hands of BHK and YUMA. 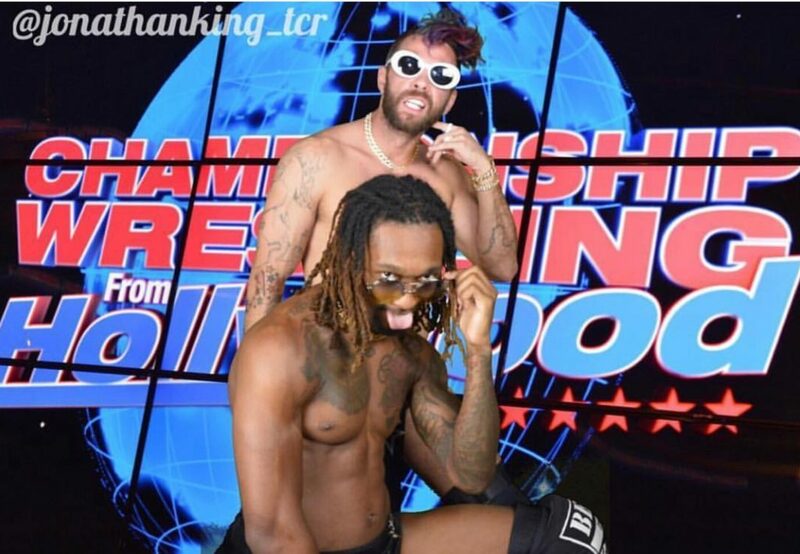 However, viewers shouldn’t count Taylor and Ryan out, as they held the Heritage Tag Team Championship while members of Vermin! Will the investigation continue smoothly for the RockNES Monsters or will former champs Ryan Taylor and Joey Ryan reunite in their winning ways? Next we will see “The Killer Bae” Heather Monroe square off against Arizona’s Morgan. Morgan has returned to Hollywood after spending years training in the deserts of the Southwest with The Tribe. This is a welcomed challenge for Heather Monroe, who is eager to embarrass anyone who considers herself a “seasoned” competitor. Will Morgan have a successful return to Hollywood or will she be forced to tap out to the Seven Year Stretch? 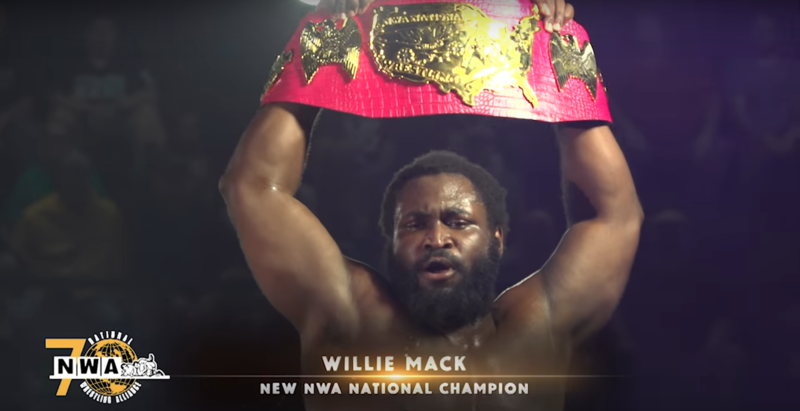 In our Main Event, Willie Mack makes his first defense of the NWA National Championship against “Uptown” Andy Brown. 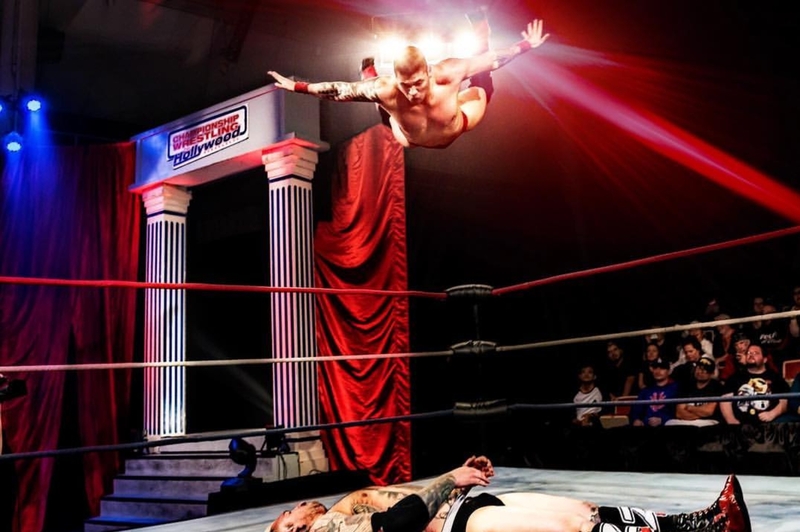 Riding high off of the momentum of the NWA 70 event in Nashville, Mack looks to make a statement with every title defense put in front of him. 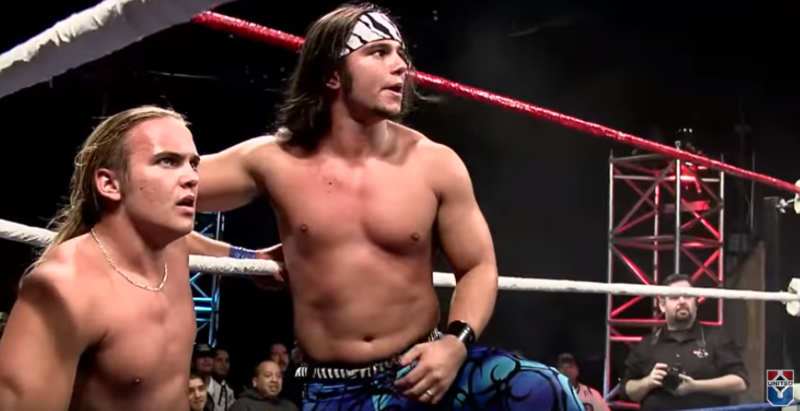 Andy Brown is a worthy contender to the National Championship, having won the 2018 Red Carpet Rumble and steamrolling into big opportunities in CWFH ever since. This Main Event will be one you won’t want to miss, so make sure you catch this week’s edition of Championship Wrestling from Hollywood! On December 9th at the Oceanview Pavillion in beautiful Port Hueneme, CA, Championship Wrestling from Hollywood will host its final Blockbuster Event of the year, Milestone. 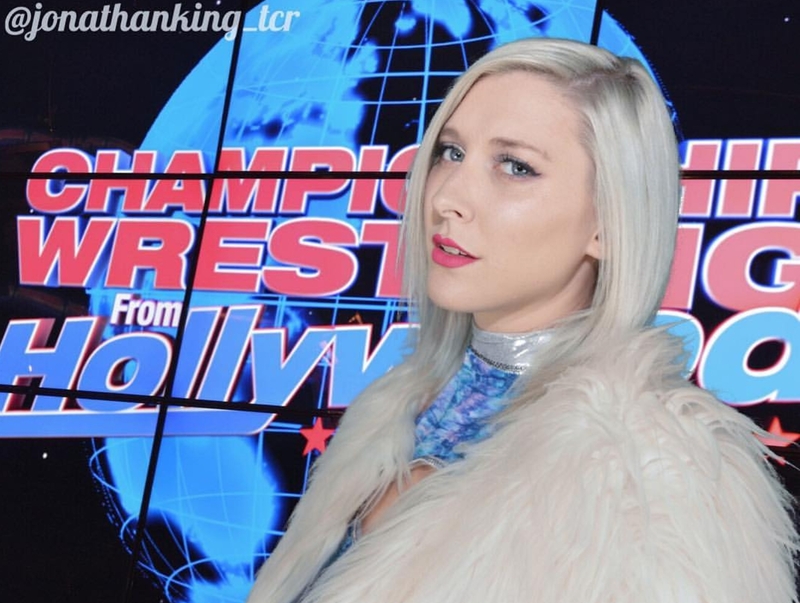 It’s no surprise that all of the matches announced are sure to be instant crowd pleasers, but one match in particular has set itself apart from the rest: the confrontation between one of Hollywood’s hottest new tag teams and one of it’s most decorated champions. 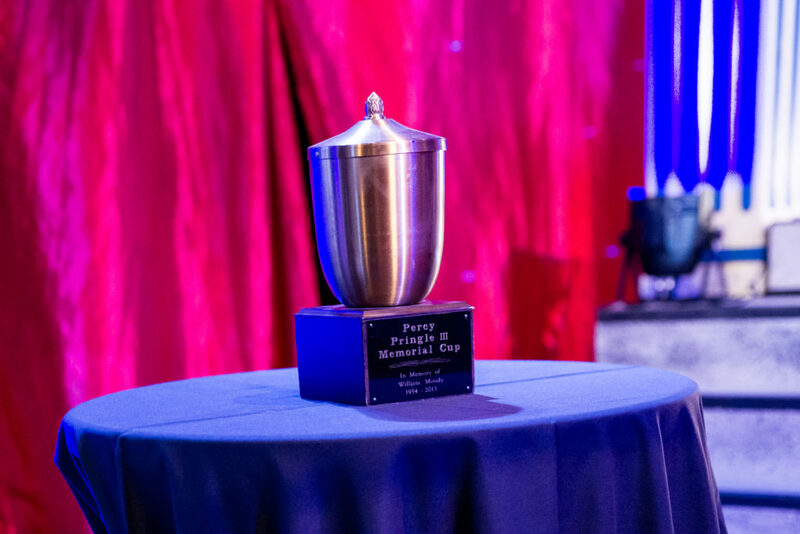 “The CEO of Suederade” and 2018 PP3 Cup Bearer Suede Thompson teams up with “The Best Thing” and the winner of the United Wrestling Network’s Best of Seven Series Chris Bey (together known as Double Platinum) to face off against “Big Nasty” WATTS and a mystery partner who will be revealed Sunday. Recently we’ve seen Double Platinum make waves on Championship Wrestling from Hollywood by launching a vicious assault on the only man to single handedly hold the United World Tag Team Championship. 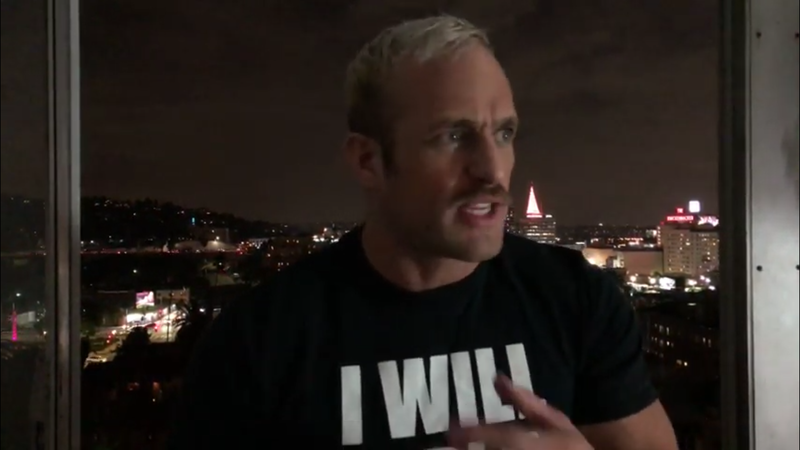 Hollywodwrestling.com reached out to Thompson and Bey to find out why exactly they have gone after WATTS. “Suede and Bey came at the King but they missed. 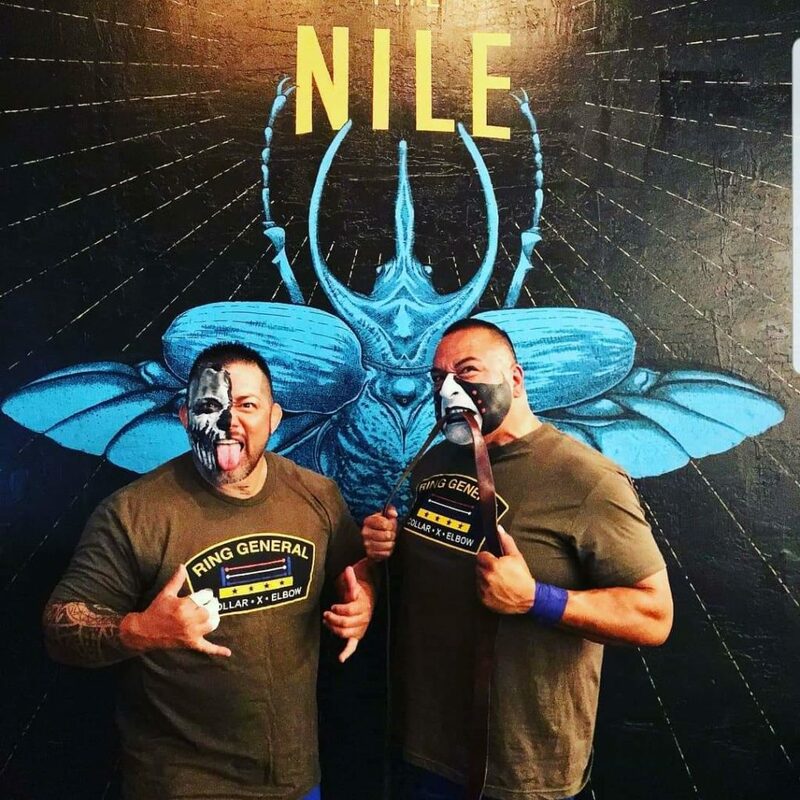 Now the King is coming with reinforcements.” Double Platinum may feel like this is a “big kid in the school yard getting jumped by the stud hoodlums” kind of situation, but if they think that taking down “Big Nasty” is going to be easy they’re in for a big surprise. Milestone kicks off at 3 P.M. this Sunday December 9th and as always the event is FREE. 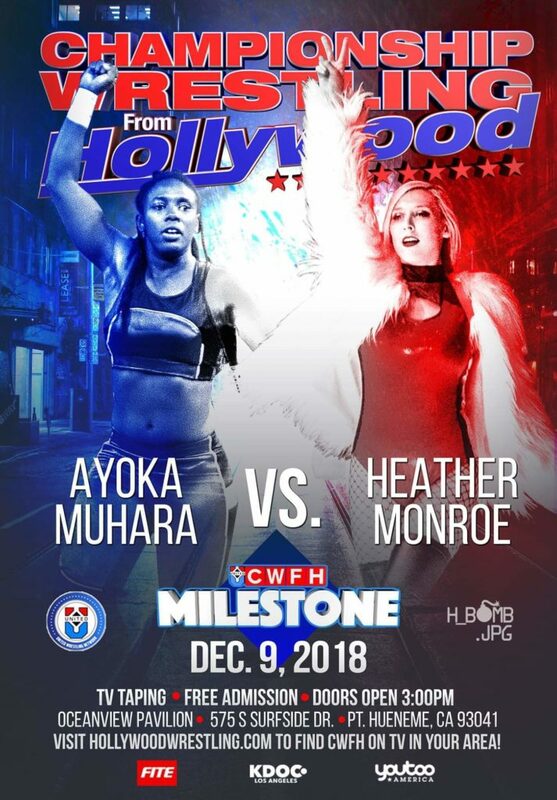 Come and join in on the festivities and make sure you don’t miss out on this history-making event as Championship Wrestling from Hollywood presents Milestone! This Sunday December 9th at the annual Blockbuster Television Event Milestone, the United Wrestling Network and New Japan Pro Wrestling are proud to showcase two matches featuring three Young Lions from the NJPW LA Dojo. 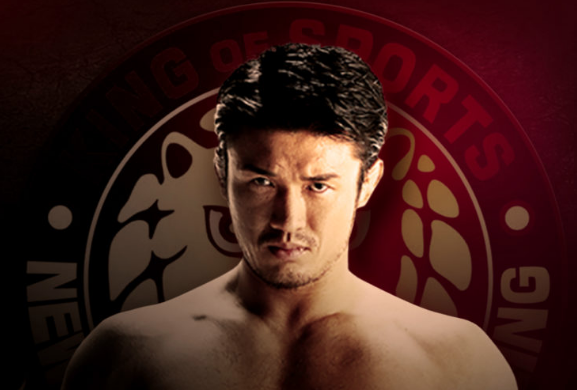 Will they be able to impress head trainer Katsuyori Shibata as he watches on in attendance? 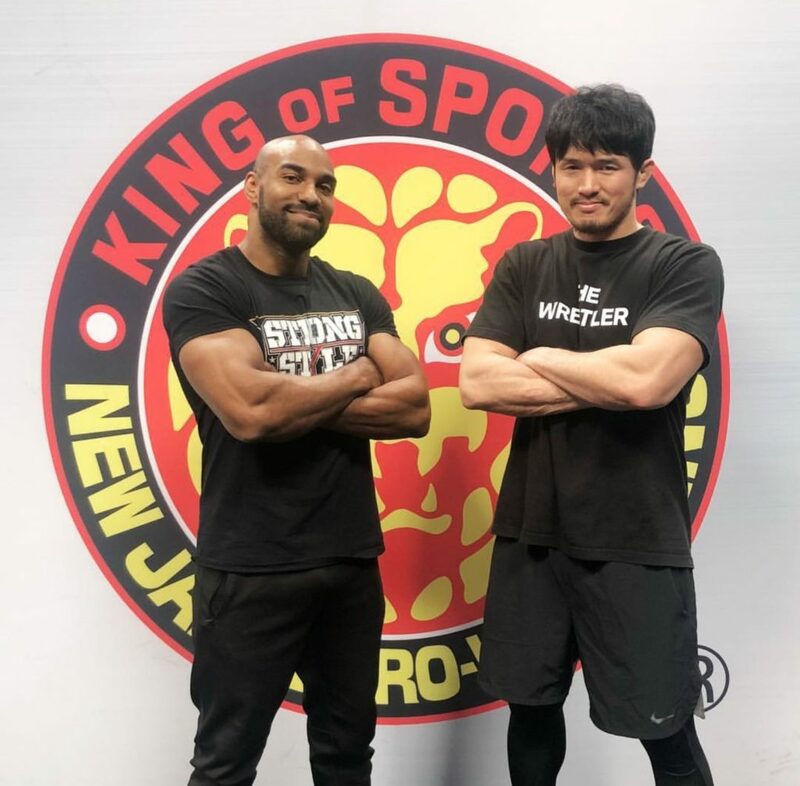 Current Young Lions Trainer and former United Television Champion Scorpio Sky with Head Trainer Katsuyori Shibata at the NJPW LA Dojo. First, in a tag team match two tough competitors who have been making a name for themselves over the last few months Clark Connors and Alex Coughlin will team together to take on two of Championship Wrestling From Hollywood’s best: fast rising star Adrian Quest and former UWN Television Champion Ray Rosas. 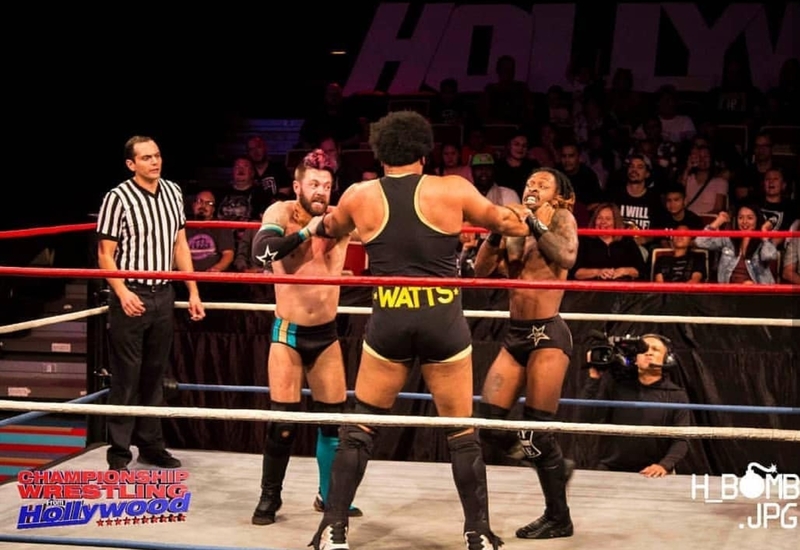 Connors and Coughlin were featured in a special attraction singles contest at the most recent NJPW event at the Walter Pyramid in Long Beach. Can these two sparring partners come together as one cohesive unit to take down two of the most athletic competitors in CWFH history or will Rosas and Quest “win one for the homies”? Also in action will be Bateman, who goes one-on-one with the returning NJPW Young Lion Karl Fredericks. Considered one of the top blue chip athletes in professional wrestling today, Fredericks has always been an impressive competitor inside the squared circle. 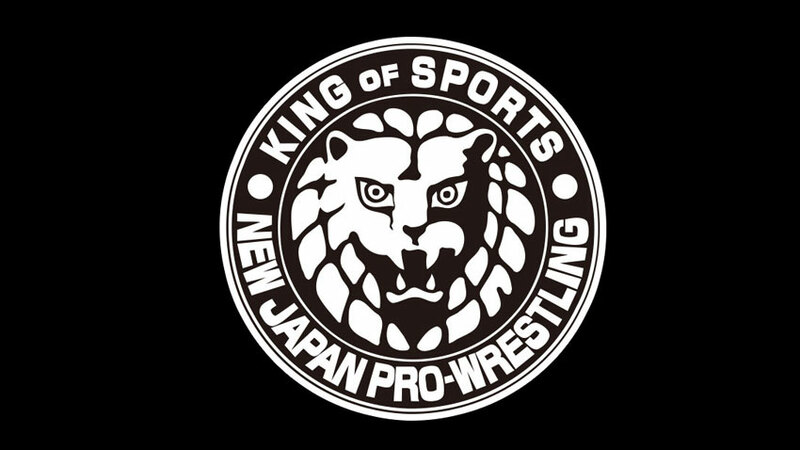 Can Karl bring glory and honor to the NJPW LA Dojo or will former Red Carpet Rumble Champion Bateman send Fredericks packing with a “Chelsea Smile”? 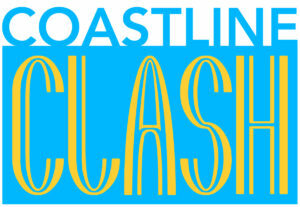 Join us for the Blockbuster Television Event Milestone at the Oceanview Pavillion on December 9th at 3 pm! Make sure to be at the Oceanview Pavillion on December 9 at 3pm as Championship Wrestling From Hollywood presents Milestone! The weekend is here and that means that it is time to sit back and enjoy another hour of Championship Wrestling from Hollywood! On this week’s broadcast we will see an encounter between “Professional” Peter Avalon and Bateman. The last time we saw these men in the ring together, there was as much action happening between their ringside companions as there was between these two competitors. 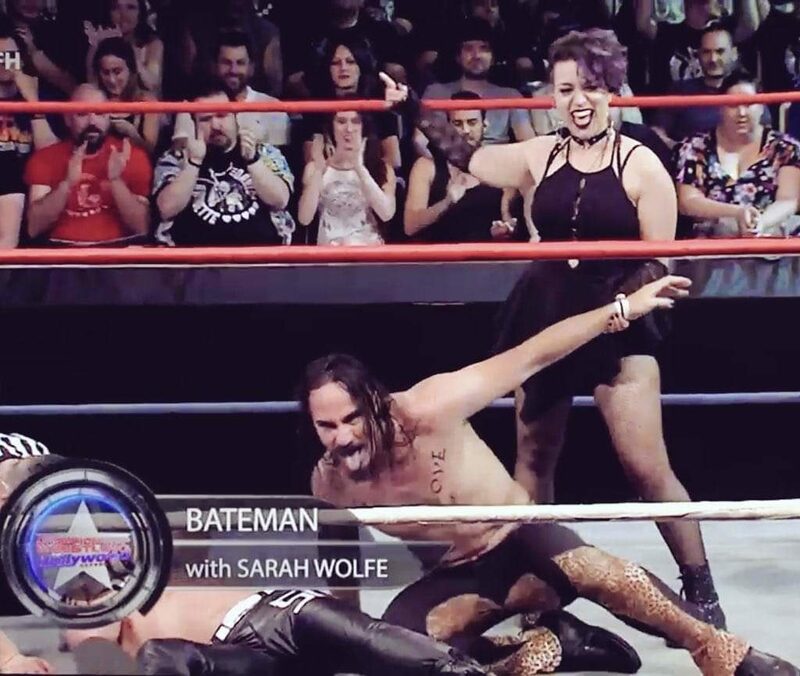 Nikko Marquez, who has accompanied Avalon to the ring for years has managed to run afoul of Bateman’s valet, Sarah Wolfe. Nikko and Peter have even gone to the lengths of putting their hands on Wolfe in an effort to avoid Bateman. The “King of the Crossroads” didn’t take kindly to this and now Peter Avalon will have to step in the ring once again with Bateman. How will Nikko Marquez and Sarah Wolfe be a factor in this match? 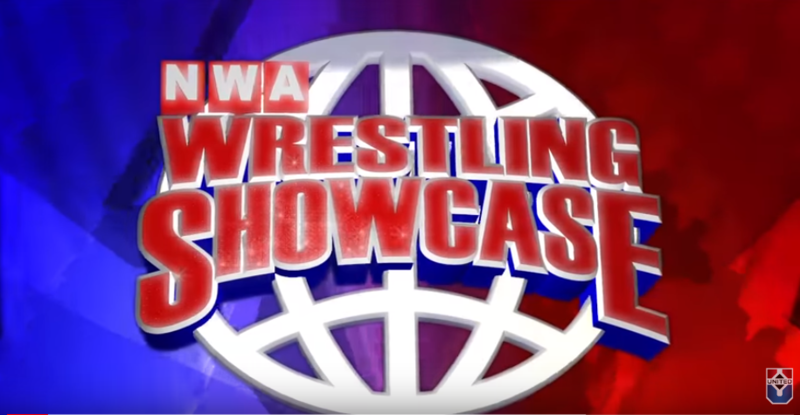 Next on the program, we have a Featured Challenge Match airing from the United Wrestling Network International WrestleCenter. 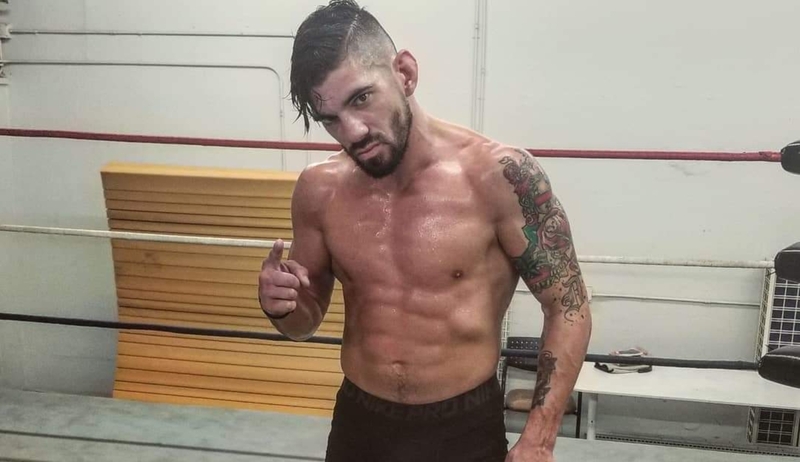 We’ve seen things heating up between Bad Dude Tito and “Relentless” Douglas James for weeks now. 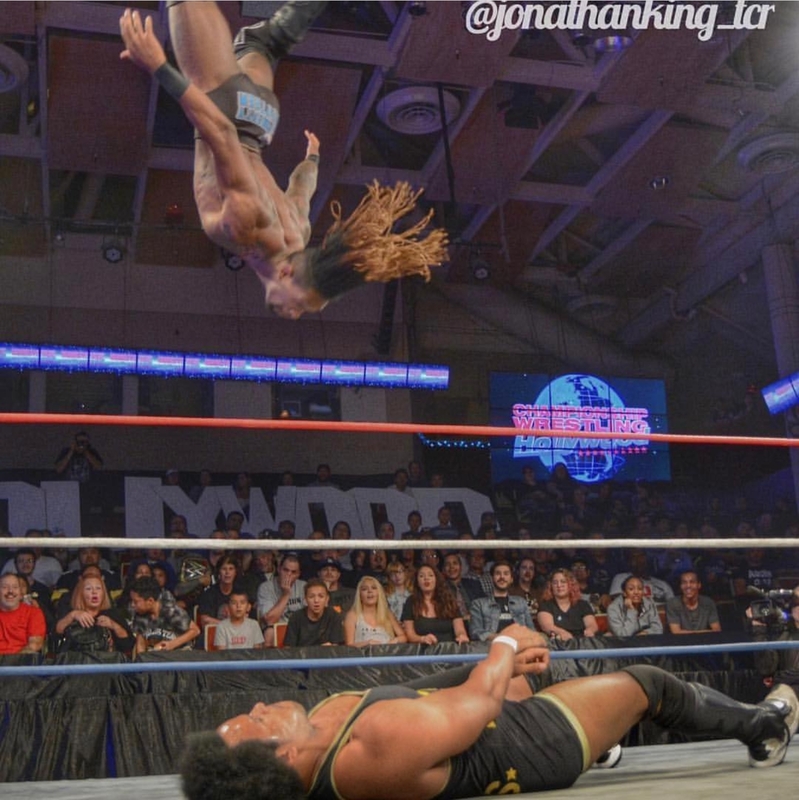 Last week Tito issued a challenge to Douglas to meet him at the WrestleCenter to see how tough he really is. 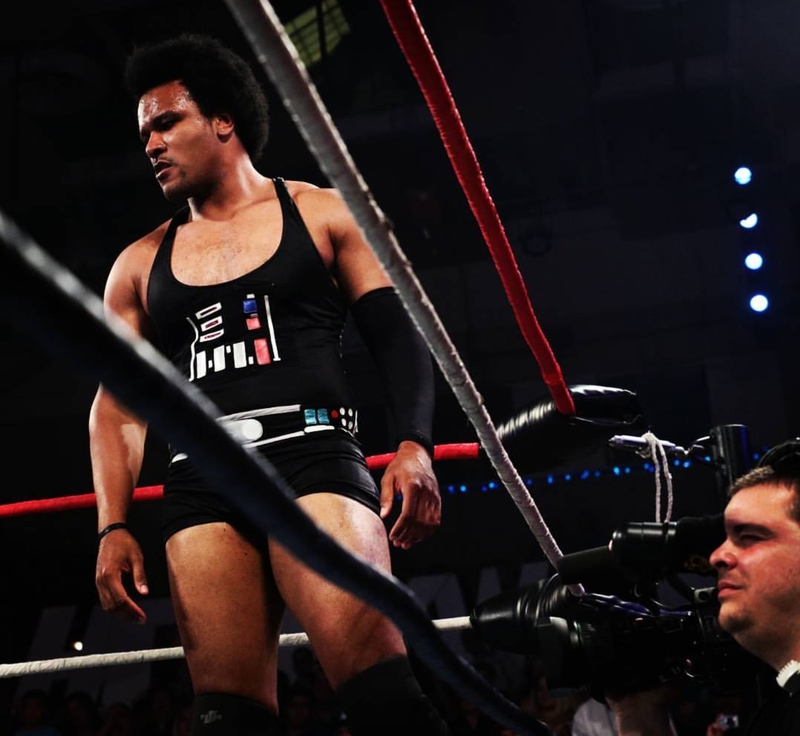 This week Douglas James answers the call as we present exclusive coverage of Douglas James vs Bad Dude Tito. 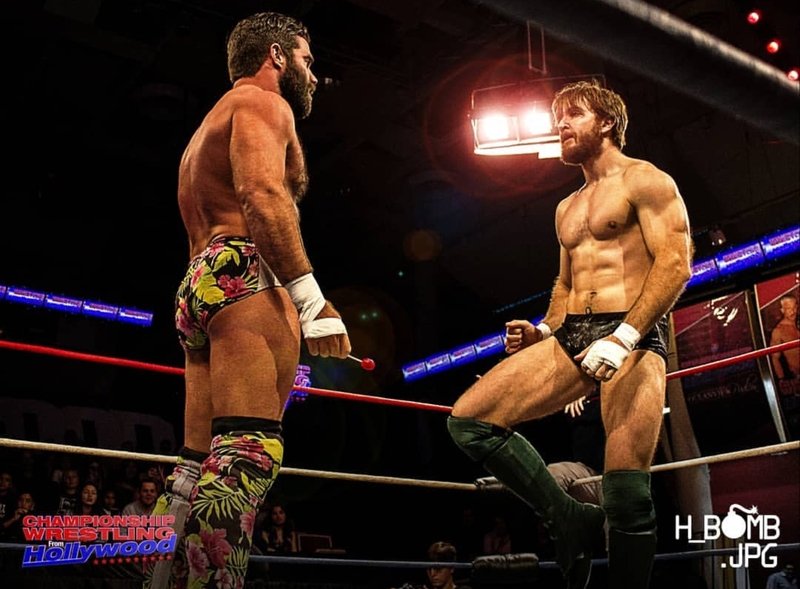 In our Main Event, the longest reigning Heritage Tag Team Champions in history, The Tribe, go for the gold as they take on the United World Tag Team Champions Reno SCUM. These two teams have been staples of the Tag Team ranks for a decade and yet have never squared off against each other until this title bout. 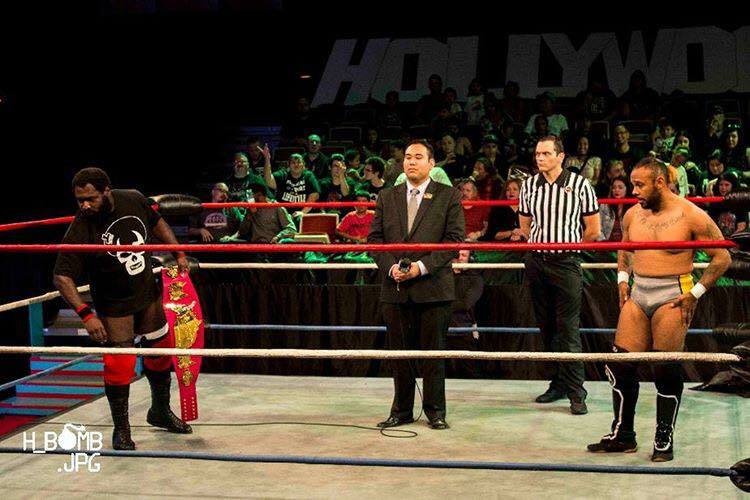 Navajo Warrior and Hawaiian Lion have been tearing through teams on Championship Wrestling from Arizona and now that they’ve returned to Hollywood, they have no interest in returning to the Grand Canyon State empty handed. Will The Tribe be able to capture the United World Tag Team Championship or will Luster the Legend and Adam Thornstowe hold true to their declaration of being Champions forever? 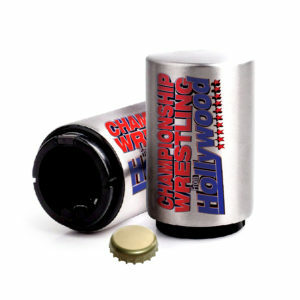 Tune in for this week’s episode of Championship Wrestling from Hollywood!